In America there is a big elephant in the room that no one wants to acknowledge. All the talk of booming economy and reduced unemployment that completely leaves out a large segment of our society who have not fallen through the cracks but down a humongous sinkhole. In it the author mentioned an organization, Boomers Leading Change, that states, “We mobilize, connect and empower Adults 50+ to utilize your skills, passion and energy to create positive, lasting social change.” This organization based in Denver, Colorado, recruits people 50+ to utilize their skills to help their community. The AmeriCorps Encore Program is probably the only paid position, and probably low paying, but I like their approach to volunteering for older adults, not just stuffing envelopes. Boomers Leading Change wants to “change the world’s view about aging.” We need more organizations dedicated to this. 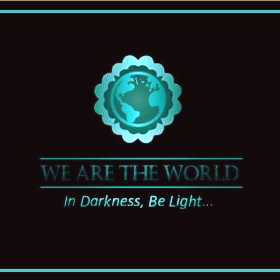 We Are The World Blogfest, #WATWB, is a monthly series dedicated to shining some light into our world. This entry was posted in Blogging, Blogging Community, Current Issues and tagged #Fight Ageism, #WATWB on March 31, 2019 by Deborah Drucker. This entry was posted in Blogging, Blogging Community, Current Issues, Poetry and tagged #International Women's Day, #Women's voices on March 8, 2018 by Deborah Drucker. You may think I went a tad overboard this month, and I probably did, but I wanted to shine a big light on the issue of gender equity in STEM careers. I am sharing stories about women in science who have had to overcome stereotypes about their gender to pursue careers in science. I am in awe of these women who continued studying and working in spite of all the barriers in their path. Part of the problem besides outright prejudice and discrimination may be that we do not read about these women in the media as often as we read about male scientists. So I mentioned two journalists who decided to analyze and remedy the lack of gender equity in their reporting. And I included what some organizations and companies are doing to bring more women into careers in the sciences. The stories about women in science definitely demonstrate resilience of the human spirit. Nancy Grace Roman was told women can’t be scientists. It is a good thing she didn’t listen to that opinion. Here is a short video about Dr. Roman’s story in her own words courtesy of NASA’s Goddard Space Flight Center/Katrina Jackson. You might argue that more women scientists do not exist or are less qualified to be quoted. Yong found this was not the case he just needed to look in the right places. Women in STEM sciences at NASA, web site has profiles and links to resources for girls and boys. GE announced the goal of having 20,000 women in STEM jobs by 2020. And what if a female scientist was treated like a superhero? *Featured Image at top of page: “Mary Van Rensselaer Buell (1893-1969), sitting in lab with microscope, reading paper” from Smithsonian Institute via Flickr. Creator/Photographer: Julian Scott Description: In 1919, Mary Van Rensselaer Buell (1893-1969) became the first woman to earn Ph.D. in biochemistry at the University of Wisconsin. She carried on her extensive research on nutrition and physiological chemistry at University of Iowa, Johns Hopkins University, Washington University, and the University of Chicago. This entry was posted in Blogging, Blogging Community, Current Issues and tagged #WATWB, #Women in STEM on February 22, 2018 by Deborah Drucker. Trader Joe’s is a well-known and popular market in California and other parts of the US. Doug Rauch retired from Trader Joe’s after 33 years, 14 of them as president. He might have decided to enjoy his leisure time but he says he “failed at retirement.” It is good news for a poor area of Boston that he failed because he has succeeded in bringing quality foods to low-income people with his market the Daily Table. According to their website, Daily Table works to bring quality foods to people by working with “a large network of growers, supermarkets, manufacturers, and other suppliers who donate their excess, healthy food to us, or provide us with special buying opportunities.” Learn more about Daily Table here. We Are The World Blogfest #WATWB is a monthly blog hop where we share the good news stories from around the world. The co-hosts this month are: Shilpa Garg, Inderpreet Uppal, Sylvia Stein, Susan Scott, Andrea Michaels and Damyanti Biswas . You can check out We Are The World Blogfest site to see the rules for participation. Information and quotes on my post are from The Christian Science Monitor article by Kathy Shiels Tully “A former exec at Trader Joe’s grows another kind of grocery store,” and from dailytable.org. Featured image from the Daily Table website. This entry was posted in Blogging, Blogging Community, Current Issues and tagged #Fight Hunger, #Quality Food For Low Income People, #WATWB on November 24, 2017 by Deborah Drucker. Girls living in a homeless shelter in New York City have found hope and friendship through the creation of their own Girl Scouts Troop. It all started with one homeless mother, Giselle Burgess,wanting to create something positive for her girls and others living in a homeless shelter and now there is funding for Girl Scout Troops to be established in an additional 14 homeless shelters in NYC. Featured Image of Girl Scout Troop 6000 via Council Member Jerry Van Bramer’s office from Christian Science Monitor Post by Harry Bruinius. This entry was posted in Blogging, Blogging Community, Current Issues and tagged #Girl Scouts, #Homeless Children, #WATWB on October 27, 2017 by Deborah Drucker.